Shot this a few days after christmas while hiking up Lion's Head mountain in Northern Kenya. 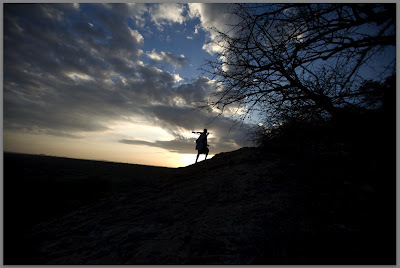 Shaundra and I were were on a tiny mission to watch the sunrise with a group of Samburu Warriors. That's Lisete leading the way as always with his automatic rifle slung over his shoulder.